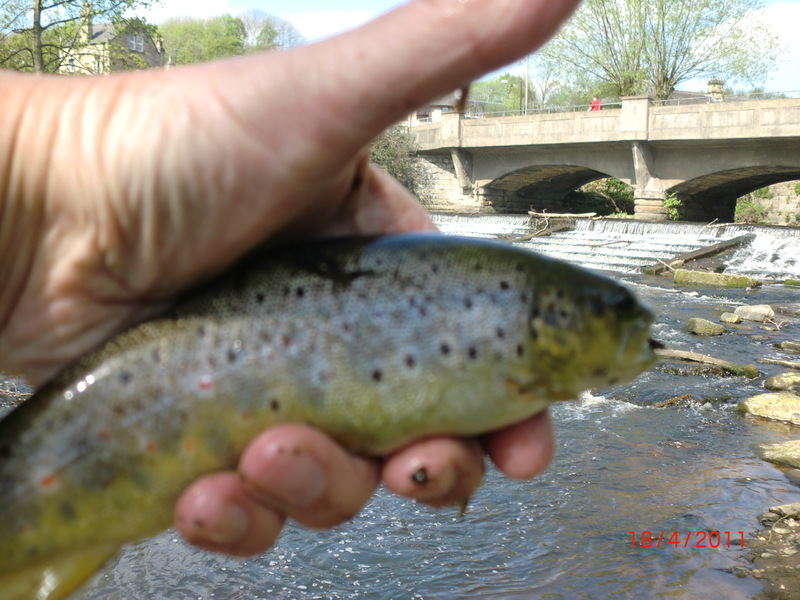 The romantic in me quite liked the idea of trying catch a South Yorkshire trout from the Rother, because my Darling Wife hails from Rotherham! And only weeks ago, we drove down memory lane in said town, and I noted the possibility, but a web search failed to find likely connections. I discovered that the Rother offered some free fishing in Petersfield, on a short beat owned by East Hampshire District Council, and this was written up in a good article in last September’s edition of Trout & Salmon, by Jon Beer. A note to EHDC produced a very helpful response from Land & Property Manager, Chris Fairhead and a spare day meant a short run down the A3 for a lovely morning’s fishing in yet more early Spring sunshine, with only the cries of small kids out with Mum, bird life, and the odd yell from me from yet another catch up in the overhanging overgrowth, for distraction. Where is this going, you may ask? I have only written a couple of pieces on fishing forums. A casual read demonstrates that there is too much banality and banter, some rudeness, some overt selling, and too rarely are they used, creatively and constructively as the site owners would wish. I came across one recently, (which I will not name) whose owner posted an apology for closing his, for just the reasons I have listed. Shame! However, such was the response to my original post about my ‘mission’ on ‘Fly Fishing Forum’ that I persisted, and I am grateful for all those who have responded on my blog, on the thread itself, or by private email, to me for their interest, enthusiasm, encouragement and in addition, for several invitations, some sound advice. The Don, sometimes called the Dun, rises in the Pennines and flows for 70 miles and joins the Ouse near Goole in East Yorkshire. Incredidibly, to me, it flowed once to join the Trent, but was ‘re-engineered’ by Vermuyden, as the Dutch River, in the 1620’s! 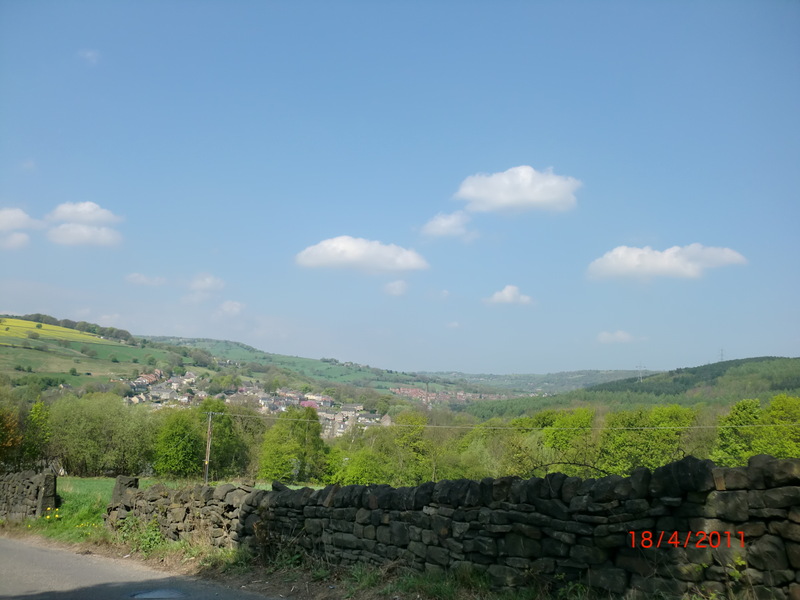 And so it is at Oughtibridge. containing apartments and flats, but are largely masked by foliage. The river this day was low, the rocks, after sunshine were covered in algae and slippery. To get to the water, it was necessary to clamber down steepish, dry mud banks where possible. Where not, this was because of concreted walled, or rock inlaid defences for what can only be to contain the rush of winter flood waters when the Pennines are awash, and this drain is one of few to relieve the hills of their watery burden. 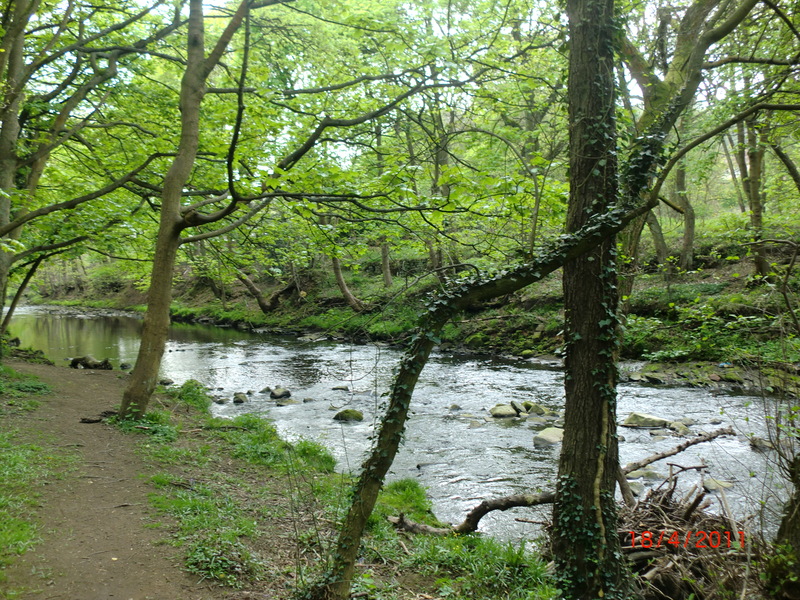 What the Don valley must look like in these conditions, I can only wonder. How fish find cover to prevent them from being washed down to Doncaster, I cannot imagine! But….. the fishing is FREE, and the link is made! And it is so, all the way to Sheffield’s Hillsborough stadium, home of ‘The Owls’. 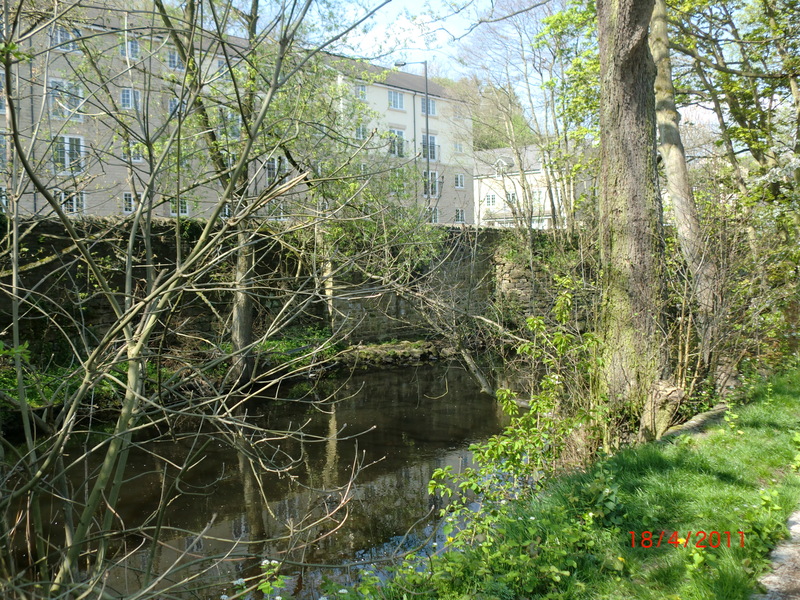 A bank side chat with William from Doncaster revealed that 25 years ago the river ran ‘black’ with industrial effluent. It still has too much man discarded detritus in it for my liking….but it also has grayling, so it must be clean. He also advised me that I was in ‘ooo-ti-bridge’ not in ‘or-ti-bridge’ as a local once corrected him! Anglers are an impatient breed. A bit of sunshine and a bit of warmth in the air (it was 19c today) and we are ‘off’….well, Winters are getting longer? And I saw half a dozen fellow ‘impatients’, as well as couple of coarse anglers trotting for the grayling. It is only the third week in April, and the good weather has enabled me to get onto water four times, already. Me….impatient? And I saw fish rising…lots of them, and all wild, for there is no stocking here. 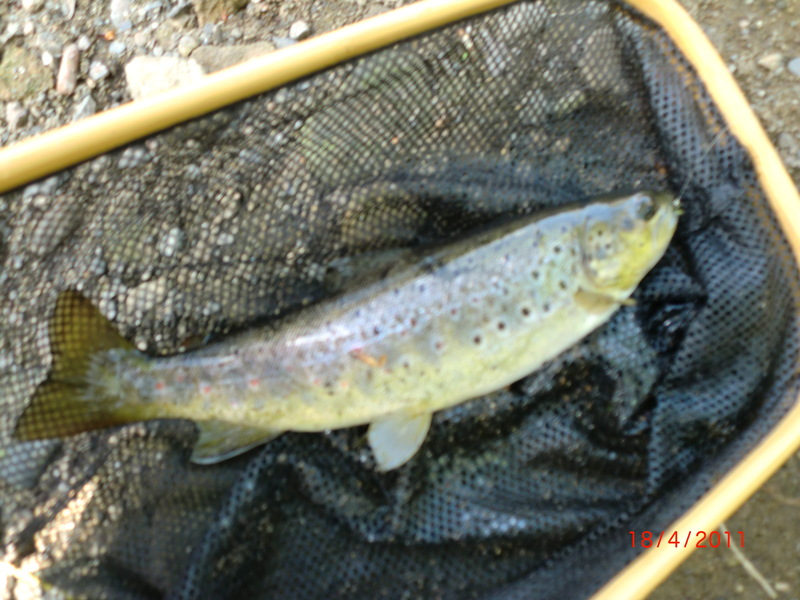 And my third cast into a pool below the town bridge produced my South Yorkshire trout to an olive klinkhamer. And during the next few hours I worked my way downstream, leap frogging around fellow casters, to net another on a black gnat, then a third in a fast run on a PTN. I probably fished a mile or so of stream, and there was plenty of variation. But the rising fish were in the slow, deeper glides are were not that easy to catch. Another angler told me he was taking on Adams (#22), a typical early season fly. But I saw no duns, and only pale (watery) midge like flies on air, so the ‘rises’ must have been to emergers, and small ones at that. Lucky folk those, Tykes, with so much good fishing to enjoy! I am coming up again, next month, to fish the Rye in North Yorkshire, and the Driffield Beck in the East….just West Yorkshire to sort, now! hi any chance you could tell me exactly where the second picture was taken ? ….free fishing, and a good head of wild fish in this beat!